Pottery from Yogyakarta Indonesia by CV MAYA BALI. Potteries in various sizes large vases, small vases, flower vases and other ceramic or pots. Home decors potteries from Bali Indonesia and Yogyakarta Java. Red clay or terracotta pottery made in Indonesia. 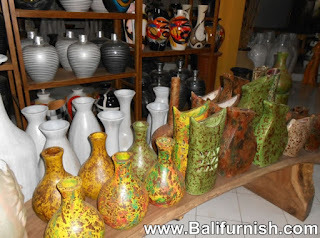 Bali pottery and Yogyakarta pottery made in Indonesia. Decorative pottery for your home or kitchen. Pottery ware from Indonesia. Ceramic glazed pottery. Terracotta flowerpots all handmade in Indonesia using traditional workshop in Jogyakarta, Indonesia. Suitable as flower pots or vases. Clay pots and ceramics in colorful paints and various motifs.